It’s important to have your pet’s health evaluated on at least an annual basis, so that we can achieve insight into your pet’s general health and well-being. 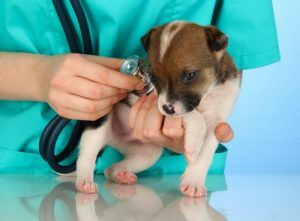 We also encourage you to visit our veterinary hospital regularly so that we can achieve a baseline evaluation of your pet’s health and set goals for optimizing the health of your pet into the foreseeable future. Visiting us regularly allows us to detect potential conditions that can become severe problems down the road, if left unattended. These issues include heart disease, dental disease, cataracts, diabetes, arthritis, spinal issues and much more. General wellness visits work hand in hand with our approach to preventative care, making sure that your pet is strong, healthy and equipped for a long lifespan. Even if your pet is currently in good health, bringing your pet in to see Dr. Weeks allows us to ensure that there are no hidden issues and that your pet is on the road to a long and happy life! We’re proud to provide general care services for pets from across Maui and meeting your pet soon helps to ensure that we can create the framework for a long and prosperous future for your pet. If you haven’t stopped by yet, we hope that you’ll visit soon or call us to schedule your next appointment.